Karen: [hesitating to give Darcy a ride home] Can't you ask Eddie Lee? Karen: It's five minutes to your house, another five minutes to the hospital. Mrs. Alves is going to kill me! Karen: [giving in] I know I did. Q: What happened to Jimmy? Q: What are the differences between the old US TV release and the uncensored theatrical release? 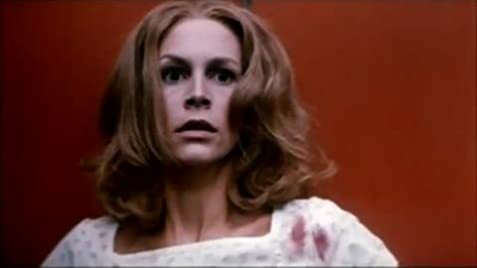 Q: Is 'Halloween II' based on a book? This is, by far, the best sequel of all the "Halloween" films. As far as I'm concerned, the producers should have ended the series here, because, after all, it is very, very clear MICHAEL MYERS IS DEAD IN THE END. Never mind that this is just another slasher film. Dino DeLaurentiis works his magic here, as he would do three years later with "Dune". This is one sequel that will have you on the edge of your seats to the very end. To me, what John Carpenter started, DeLaurentiis finished. 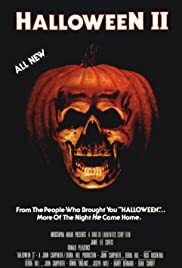 For maximum effect, see the first two "Halloween" films on Halloween, October 31, and time it so that the end of "Halloween II" falls at midnight, the morning of November 1. "Halloween II" is a sequel masterpiece.